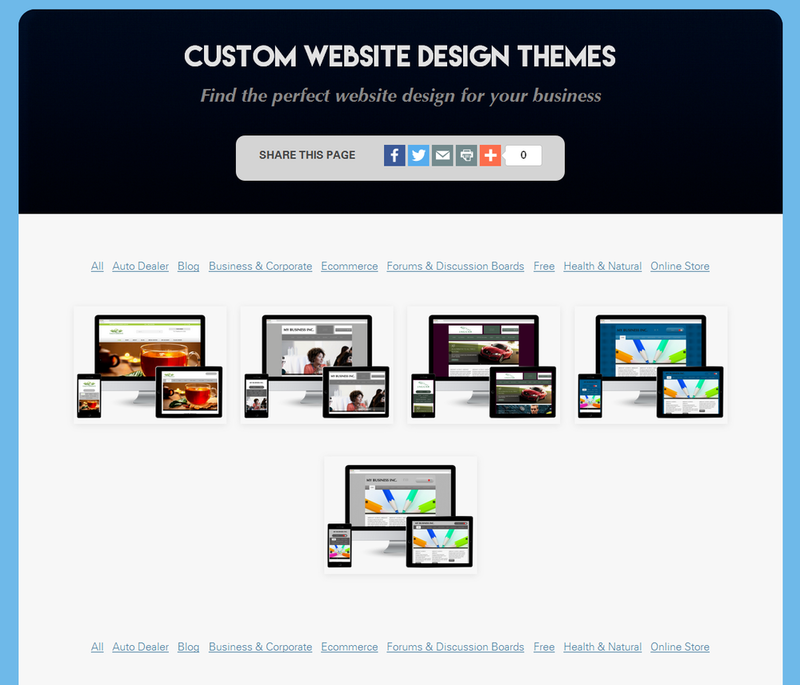 This article is about buying and installing custom website themes. If you are interested in creating your own custom website design theme from scratch, you need to refer instead to the Monkey Business Theme Design Guide. 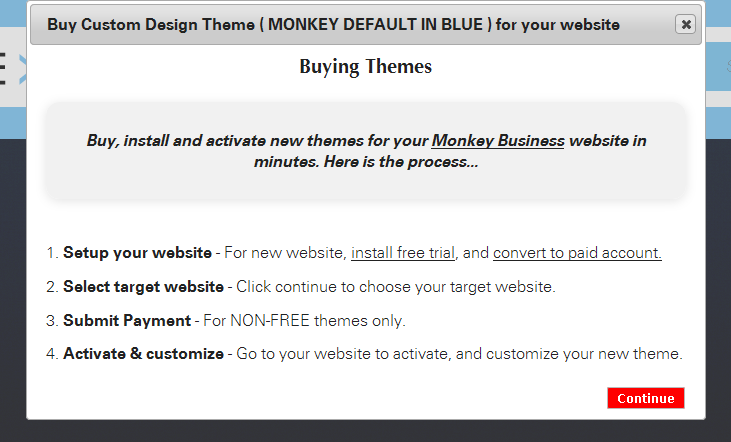 To buy custom website design themes, go to the Monkey Business Themes Marketplace. Themes are organized into categories such as Auto Dealer, Blog, Ecommerce and so on, making it easy to find the website design perfect for your business. Click on any theme to preview it. We provide detail screenshots of the custom theme on desktop, tablet and mobile devices, so you can carefully evaluate every detail of the custom design for your needs. Use the theme preview controls to quickly and easily navigate forward, and backward, thru the theme previews. You cannot purchase and install themes on free trials. To buy and install themes, you must first convert your free trial to a paid account. 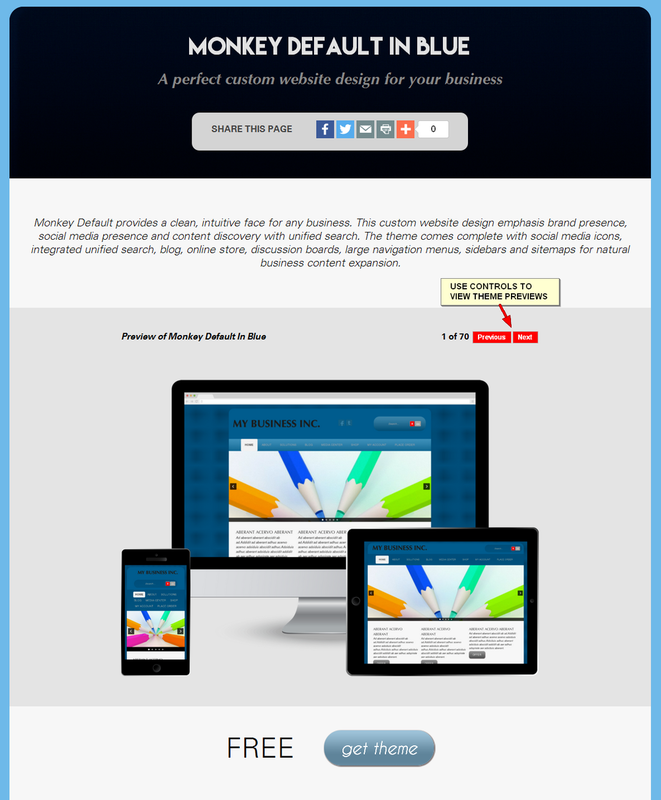 To buy and install the theme, click on the Get Theme button, review the instructions, and click the Continue button to select your Monkey Business website.